Most of my past experiences with 360-video-cameras were rather disappointing. I was one of the first users of Kodak SP360 and Ricoh Theta, the low video resolution was unforgivable. When Samsung launched the new Gear 360 camera 2 weeks ago, I was skeptical about the visual quality. After battling many days of considerations, I gave in to temptation to try it. Thankfully, I have a spare Samsung Note 5. If not, this would be a very heavy investment for anyone who wants to own it. 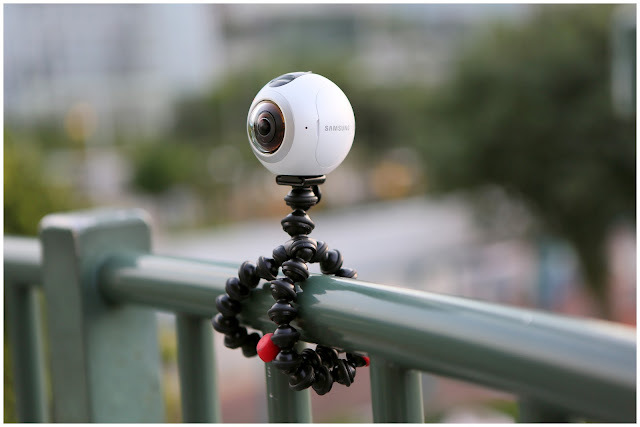 The Samsung Gear 360 is very easy to use. Just turn on the spheric camera and the operation comes intuitively. I was so excited to test the camera that I forgot to bring my Samsung phone out. The phone acts as a remote viewfinder and controller for the 360-camera. Fortunately, the Gear 360 worked just fine without the phone. Battery life was pretty decent. The camera was switched on continuously for about 90 minutes. I shot over 20 photographs, 4 time-lapse videos and 10-minute footages. By the time I reached home, there was still 60% battery power remaining in the camera. 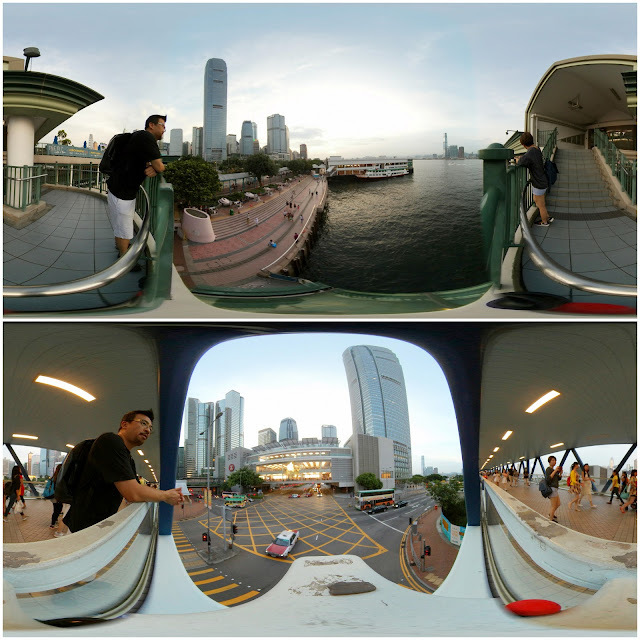 Shooting 360 was a breeze but it took additional steps to share the video on social media. 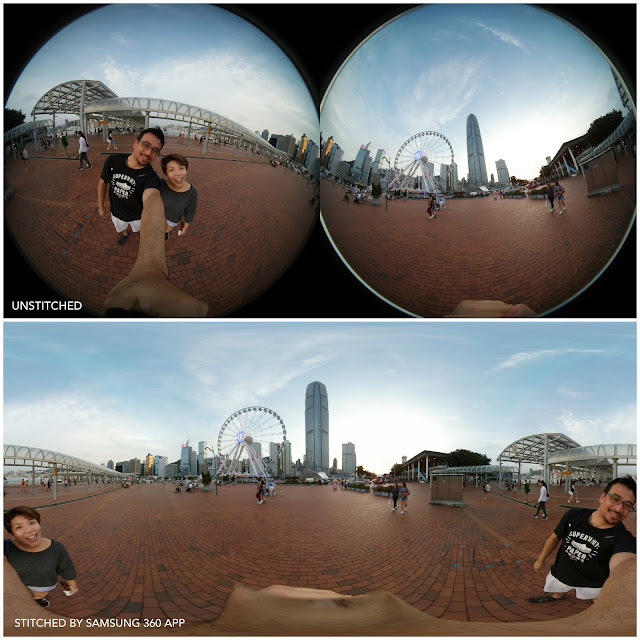 Before I can share any video or photo, I have to stitch & save both images and footages via the Samsung Gear 360 app. The original uncompressed picture, video and audio quality was surprisingly promising (viewing on the smart phone and computer). It exceeded my expectation. However, the final viewing quality on Facebook & Youtube underwent heavy compression and the final result was less than satisfactory. Also, there is a minor flaw in the stitching. Often I can spot the stitch line on the video and photo. Hopefully Samsung releases a new firmware or app to solve this. The biggest difficulty I encountered was transferring the files and editing the videos via a Mac. Samsung Gear 360 App allows individual file-sharing to Youtube or Facebook. However, I wanted to edit all the 360 media files into one single vlog. I realised I cannot edit and publish these 360 files via iMovie. Also, Samsung 360 Director software file is only for Windows user. It is a frustrating experience to download, edit and publish Samsung Gear 360 files using a Mac. Like many Mac users, I checked many websites and Youtube videos to learn how to export the Samsung 360 files. After 2 days of exploration and many failed testings, I finally found the simpliest way. 1) First, I have to install “Samsung SmartSwitch” (file transfer app) to download the stitched 360-files from the Samsung device to my Mac. 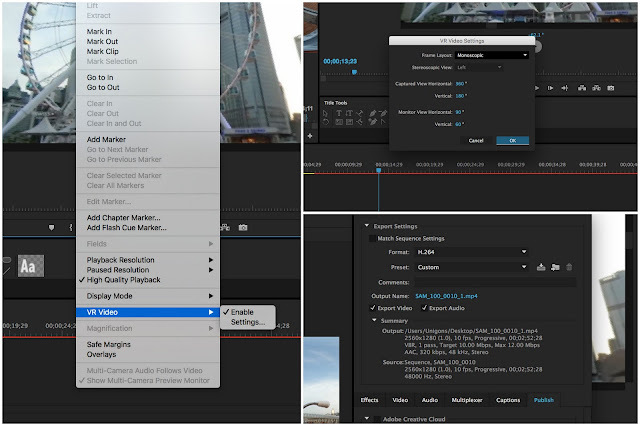 2) Once I have downloaded the stitched files (photos and videos) onto my Mac, I downloaded Adobe Premiere Pro. At this moment, Adobe Premiere Elements doesn’t support any VR video editing or exporting. 7) Youtube and Facebook will detect the video and automatically stream 360. Do exercise patience. It takes about 15-30 minutes for the 360 video to be live. Hang on there! That’s it! 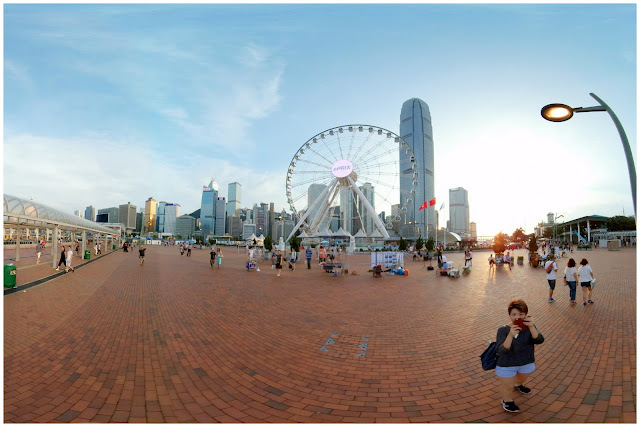 I finally got my first 360 Vlog up and running! If only this 360 cam can be integrated on the Osmo and Phantom 4, it will be perfect! Who knows, maybe DJI has something in their sleeves now! I love you’re tutorial, i designed a mount for my 3DR Solo. – Obvious problem, all videos will be upside down! I import files from my galaxy S7 Edge, drop them into Premiere , transform vertically and then output. ONLY problem is I have premiere CS6 no CC so their is no option for monoscopic output!. And i really dont want to pay 19.95/month for premiere CC. Any suggestions. I’m using the 7 day trail and was able to get one to work in CC. But once my trial runs out what now!?!?!? Hi, I am not very familiar with this too. Hope you find a solution soon. Cheers! Hey man, I just came across this. I run a software company in Singapore, and we are building a Mac app which can let your stitch Samsung Gear 360 camera videos and trim it, add music and post to FB and YT directly (app will do the meta data injection required). So stay tuned, we expect to release it as soon as end Nov!